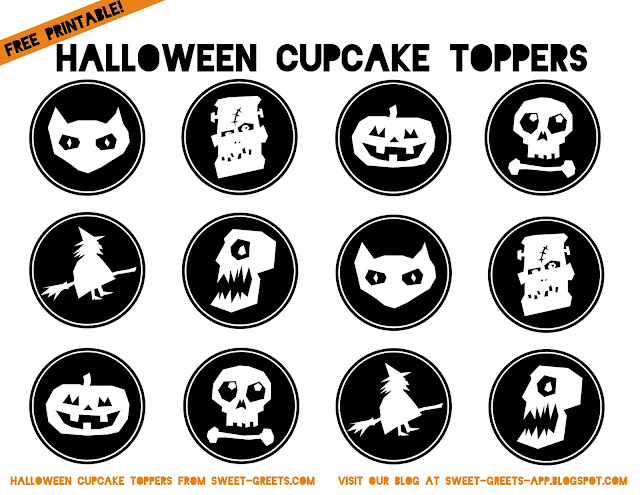 Here are some Halloween cupcake toppers made from these dingbats, which I used previously to make these lunch notes. To download, just click on the above image. Enjoy!